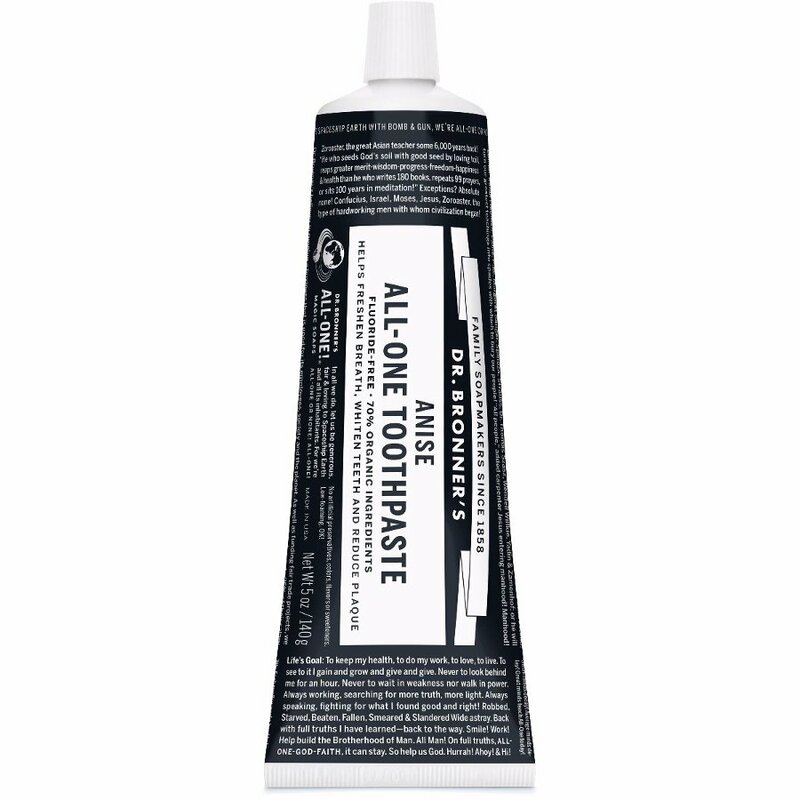 Dr Bronner’s all-in-one toothpaste has a great taste to it with a zero fluoride formula. With a sophisticated low-foaming formula, this toothpaste keeps your teeth clean with comfortable cleaning action. This toothpaste stimulates your teeth and gums and helps keep your mouth feeling fresh and sparkling clean. The pleasing anise flavour is achieved without the use of GMO ingredients or artificial colours and preservatives. The lack of synthetic foaming agents and fluoride keep give your teeth a more natural cleaning. The Dr Bronner Organic All-One Fluoride-Free Toothpaste - Anise - 140g product ethics are indicated below. To learn more about these product ethics and to see related products, follow the links below. There are currently no questions to display about Dr Bronner Organic All-One Fluoride-Free Toothpaste - Anise - 140g.